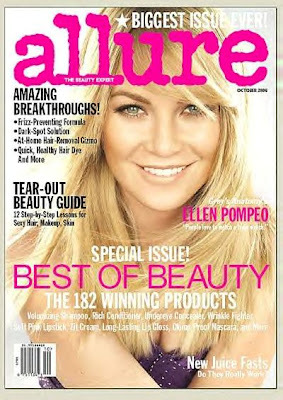 Allure magazine has been called the 'Beauty Bible' by some. And since the mag was launched some 17 years ago, women have been eagerly consuming its pages for tons of beauty tips and intelligent, bold articles that probe the world of beauty. Allure gives women much more than the perfect shade of rose lipstick, although they do that very well, thank you. 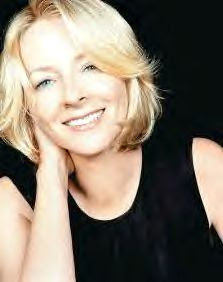 And with Linda Wells as editor-in-chief since the very beginning, Allure has been warmly received as a super Conde Nast publication. We like Linda Wells because she takes a serious look at beauty, but doesn't take herself too seriously. She loves beauty but always seems to balance the frivolousness of pampering and self-adornment with a practical edge. Her monthly 'letter from the editor' in the pages of Allure, is always a delight to read. In this month's October 2008 issue, Linda talks about how 'more is less.' She's referring to the multi-layered packaging of expensive beauty treatments, and how wasteful and crazy it's all become. Too much shiny cellophane, thick cardboard, excess plastic containers, and so on. "Some cosmetics companies seem to believe that all these layers create a sense of luxury, that they make the product look precious, like a Valentine's present from Harry Winston. But that idea is passe," Linda Wells writes. She acknowledges even with access to every new product under the sun, her own look changes very slowly. "My range is A to B. I don't change my look much but I can appreciate someone who does. If something is really ugly, we don't write about it, or if we identify a trend we won't say you should wear it," Linda Wells explains. But she is on a bit of a personal crusade to get women to put on fragrance and a little lipstick before they leave the house. "Beauty is in some ways a courtesy. People have to see you and smell you. 'Casual Friday' isn't 'Don't-take-a-shower Friday,' and getting dressed for someone's dinner party is a way of showing respect," she says. In the meantime, pick up the Allure October issue. It is jam-packed with Allure's Best Of Beauty--the 182 winning products. From volumizing shampoos to clump-proof mascara, and more. It's their biggest issue ever! !